I am a self-confessed hopeless romantic. 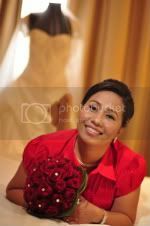 It has always been a dream of mine to get a balladeer to sing for me and my guests on my dream wedding. Someone who can sing the songs of Gary Valenciano and Martin Nievera from the heart. I was lucky that my good friend Joanne actually know of somebody who can do it for me. The group had sung for her wedding and she highly recommended them. I’ve checked their website and listened to a sample of his songs and right then and there, I knew I'd have to have them on my wedding. I didn’t wait long enough to contact the group and finally last weekend, we’ve made it official! 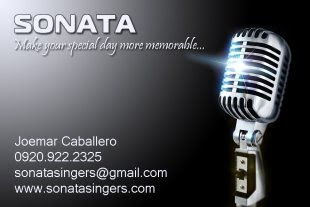 I booked Sonata Singers for my upcoming wedding in the Philippines. Woohooo!